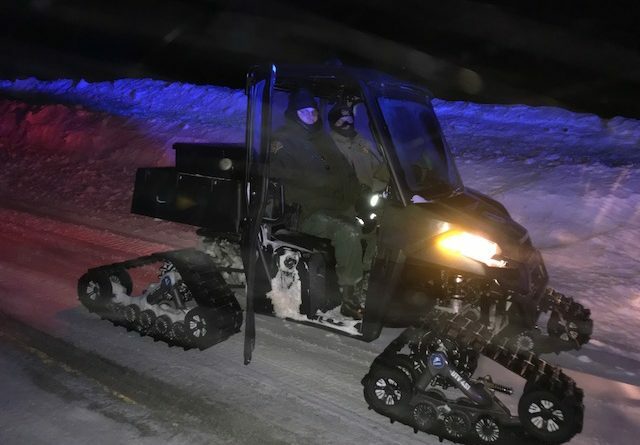 U.S. Border Patrol agents rescued a number of drivers who became stranded amid whiteout conditions in Aroostook County on Tuesday. U.S. Border Patrol agents on Tuesday rescued drivers stranded in dangerously cold temperatures and whiteout conditions in Aroostook County. 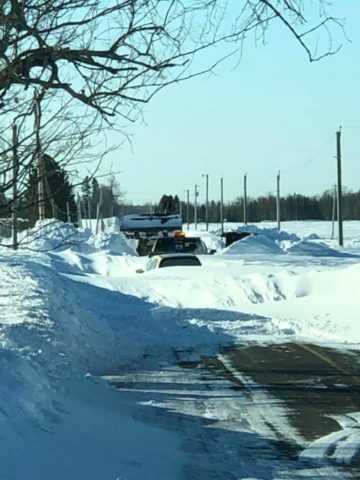 Limestone Police Department on Tuesday afternoon asked for help from Border Patrol agents stationed in Fort Fairfield in locating a driver who became stranded as northern Maine was buffeted with high winds and blowing snow, according to U.S. Customs and Border Protection. While en route to the stranded driver, agents came across other abandoned cars and stranded drivers, according to Customs and Border Protection. Seven drivers and passengers, including children, were brought to safety. Rescue efforts and assists continued late into the night Tuesday, Customs and Border Protection said. The combination of fresh powder and high winds blowing at 25 mph and gusting up to 45 mph created some of the most challenging weather that observers said they have seen in The County in recent years. The high winds, accompanied by wind chills as low as minus 25 degrees Fahrenheit, forced a number of school, business and road closures across Aroostook County on Tuesday. The county sheriff and police in Presque and Caribou told the Aroostook Republican & News that they responded to dozens of reports of stranded vehicles as the high winds and fresh snow left after a Sunday storm caused whiteout conditions and drifts across many roads.